BTS will bring their Love Yourself: Speak Yourself tour to London this summer. 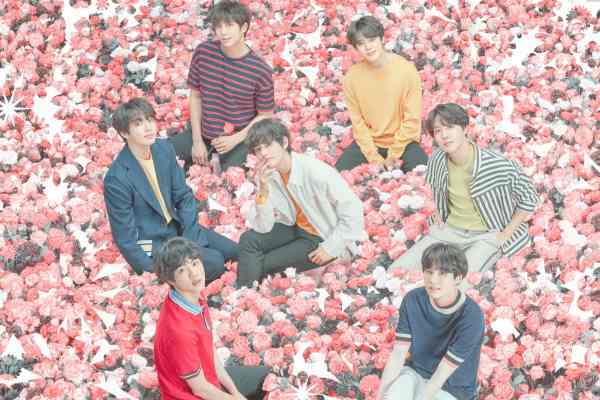 The K-Pop band, who released ‘Love Yourself: Answer’ in August 2018, will head to Wembley Stadium on June 1, in addition to a Paris date at Stade de France on June 7. The global phenomenons also tour across the US in May, with shows in Los Angeles, Chicago and New Jersey. WHO IS SUPPORTING BTS ON THE 2019 TOUR? Support acts for BTS’s huge show at Wembley Stadium have not been announced as yet, please check back later for further updates. WHAT'S THE NAME OF THE BTS TOUR? The 2019 tour is titled the Love Yourself: Speak Yourself Tour. WHEN ARE BTS TICKETS ON SALE? Tickets for the London and Paris BTS dates go on general sale at 8.30am on Friday March 1. 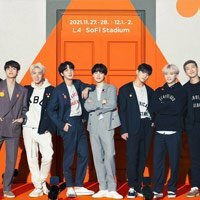 You can compare and buy BTS tickets here at Stereoboard. We work with all the leading UK & European ticket agencies, including Ticketmaster, See Tickets, Gigantic, Eventim, The Ticket Factory and AXS, to ensure you get the best choice, price and availability for your concert tickets at Stereoboard. HOW MUCH ARE TICKETS TO SEE BTS LIVE? Ticket prices for the London stadium show range from £45.00 up to £160 plus fees. Full details on prices for different areas of the stadium are still to be confirmed. Click here to buy BTS tickets. Please check our ticket agents' websites from our BTS listings here for more specific restrictions in place at the venue for this show. In case you hadn’t heard, there’s a craze going on. A global frenzy for Korean pop music, or, as the kids are calling it these days, K-Pop. There’s a seemingly infinite number of K-Pop groups around at the moment, with millions of loyal fans all over the globe — the most obsessive of which are called Sasaengs. They're known for their extreme behaviour, with some breaking into group member’s houses, carrying secret recording devices, crashing weddings, that sort of thing. BTS have unveiled the video for their new single featuring Halsey, Boy With Luv. BTS have announced their seventh album. Louis Tomlinson has dropped his new single, Two Of Us. Billie Eilish is everywhere at the moment. Armed with bewilderingly catchy pop hooks and a distinctly magnetic voice, the American artist is a force to be reckoned with. Madonna has announced her new album. For Brits of a certain age, Dido’s music represents a particular sense of time and space. The late ‘90s was a period of intense, outward-looking optimism and, though the brilliance of Britpop was fading, even easy-listening pop acts like Dido seemed to have a high degree of creative integrity. Support acts have been announced for Celine Dion's British Summer Time show.